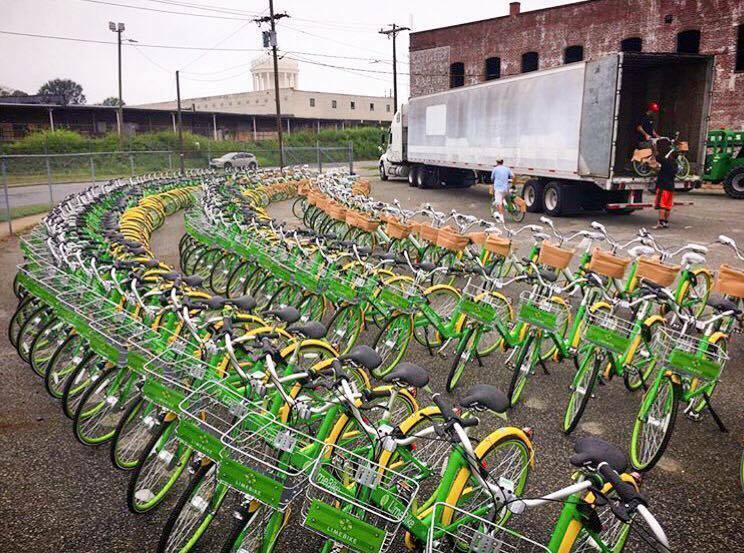 LimeBike, one of several companies competing in the rapidly expanding bike-sharing space, has raised a $50 million B round to continue building out the operation. The company is also looking into ways to differentiate itself from the competition — including the two 900-pound Chinese gorillas in the industry, Ofo and Mobike. I chatted with LimeBike’s CEO, Toby Sun, about the company’s ambitions and rivals. He felt LimeBike has an advantage over its rich Chinese rivals in that it’s the leading U.S. company in a market that, in the U.S. at least, is still young. That’s not to say he’s banking on consumers’ patriotism to do the work for him. LimeBike, he explained, is aiming at being a good partner with cities and schools, tailoring their bikes and programs to fit the needs of different locations. Operating a floating bike-share service can’t be done surreptitiously, unlike for example soft-launching a service like Uber in a city that may or may not support it. So, Sun said, the better approach is to be a good long-term partner. It certainly adds complexity to the operation to have slightly different rules or abide by different requirements for different locations, but governments and companies will remember this helpful accommodation. The money will go towards breaking into new markets — Sun said he’d like to hit at least 30 locations in the near future and to outpace station-based bike-share systems. It’ll also fund the R&D needed to keep up with competitors and the market-resident operations departments that service and “rebalance” bikes (read: drive from the bottoms of hills to the tops). LimeBike raised $12 million in March — but unlike software startups, the costs of expanding the market of a bike-share service are considerable. Plus keeping 10,000 bikes in good condition. So it’s no surprise that they burned through that. One feature Sun mentioned that I haven’t seen in the U.S. market yet is incentivizing users to do the rebalancing themselves. Giving someone a free ride if they go out of their way to take an isolated bike seems to me a no-brainer feature to add, but it’s probably harder than I think to get it right. The recent emergence of services that aggregate bike locations from multiple services prompted me to ask if LimeBike would be officially supporting such apps, perhaps with the ability to pay through them. The funding round was led by Coatue (partner Thomas Laffont will be joining the board), with A16Z, DCM, GGV, Section 32, Yuri Milner, The Durant Company, and a few others joining.